A panel of writers discusses how ladymerch has been marketed to women. On February 22, the Housing Works Bookstore Café on Crosby Street hosts “That Not So Fresh Feeling: Marketing Embarrassing Products To Women,” an evening organized by Slate spinoff ladyblog DoubleX of talk about the cultural history of, ah, female products. 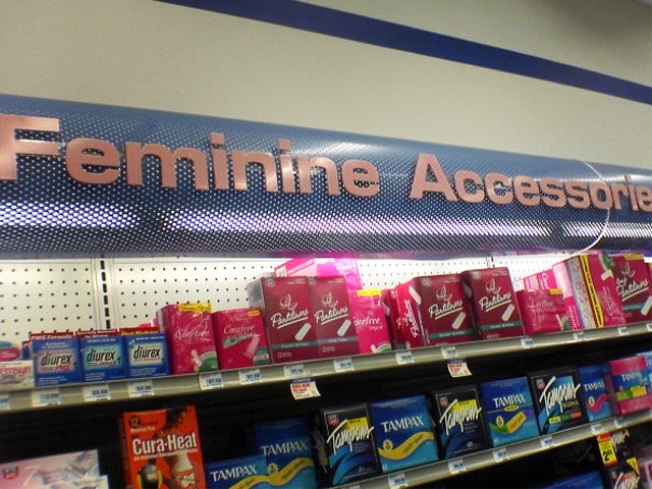 You know, feminine hygiene. (cough) Accessories, if you will, for the modern woman. It a safe bet that the assembled panel of smart chicks -- headed by Susan Kim, author of the new book “Flow: The Cultural Story of Menstruation” and including Sarah Haskins of Current TV, former "Colbert Report" exec producer Allison Silverman, and Hanna Rosin, co-editor of DoubleX and contributing editor at The Atlantic Monthly – will pull no punches. Possibly they’ll bring up the old chestnut about how Lysol was originally marketed as a vaginal douche and potential contraceptive, which resulted in some pesky health troubles. Good times!